Easy Stripper – Rack-A-Tiers Mfg. Please Note: The Easy Stripper is for light use only. 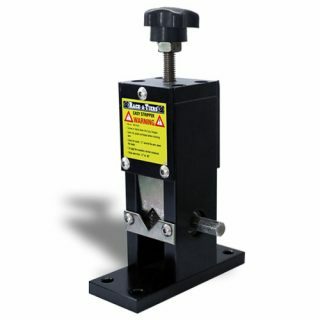 For regular or heavy duty use, please see the Copper Wire Stripper Jr. or the motorized Copper Wire Stripper. Strip the cover off your scrap wire in minutes with the Easy Stripper! Increase your earnings on every single job you complete. Way easier and faster than using your knife!